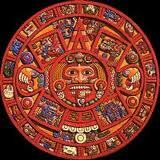 The Incan calendar was important to the ancient Incas for religious reasons. It is historically known that the Incas employed both solar and lunar calendar systems, however, they were never written down. The information on this topic is widely scattered and hard to find, but is important to study because of the strong reliance the Incas had of rituals based on the calendar month. Local lords instituted a variety of local timekeeping systems. In the capital city of Cuzco, authorities maintained a seasonal clock that consisted of a 365-day solar calendar, with twelve 30-day months that consisted each of three 10-day weeks plus 5 festival days. The yearly quarter day discrepancy was solved by resetting the calendar at the summer solstice in December. 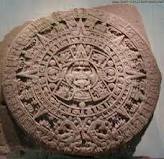 The Incas also kept track of the zenith motion of the sun. A twelve month lunar calendar was also kept that consisted of 41 eight day weeks which comprised 328 days. The Inca calendar exists because the Incas follow the stars from rudimentary observatories. They follow the movements of the sun, moon and stars. They follow, register and predict all types of events, like the solstice and equinox. Today, the regular people believe the real name of the Inca stars observatories is Intihuatana, but their real name is Intihuata. The word Intihuata split in two parts; (Inti) that mean sun and (Guata) that mean year. The Incas used special towers called "time makers" that told them when a new month was beginning. Time makers used the position of the sun to mark the passage of time. Each month in the lunar cycle held significance with the people. 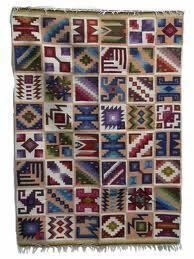 For each different month, a different ritual was held and practiced by the people of the land. The people looked to the stars to regulate their ritual and seasonal events and is probably the reason that the people relied on the lunar calendar when performing their rituals and ceremonies.